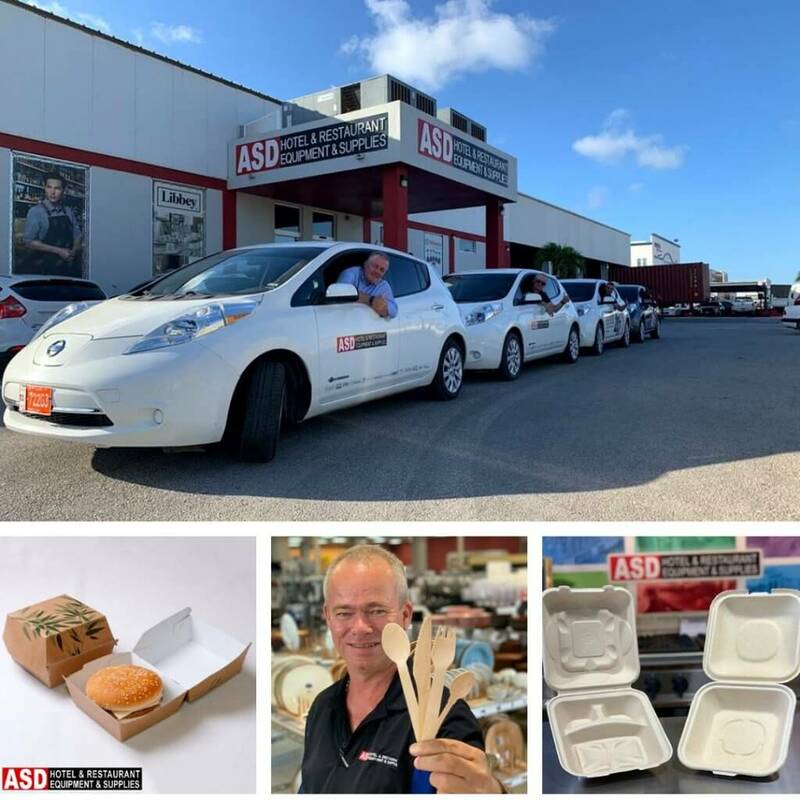 In honor of Earth Month 2019* we’ve decided to highlight a few organizations in Aruba that are proving to be leaders when it comes to mixing business with eco-friendly initiatives. If you’re a business owner looking to amp up your environmentally-conscious efforts, or a local looking to support businesses that value eco-friendly actions, get inspired now with our team’s picks! Sustainability Shout-out: ASD Aruba has been quite the industry innovator when it comes to eco-friendly practices in Aruba. They even stopped selling plastic disposable bags back in 2015, and replaced their product offerings with paper bags instead. This is notable because, two years later, in 2017, the Aruban government made an official ban on single-use plastic bags on the island. As you may have thought, they didn’t stop there. In 2016 they eliminated and replaced the sale of their Styrofoam products too. Fast-forward to 2019, the government announced a ban on Styrofoam products. Presently, the organization is one of the top-sellers when it comes to eco-friendly supplies for restaurants and hotels. Furthermore, ASD continued to prove its commitment to the environment by announcing that the company now has electric cars! Sustainability Shout-out: Arubalife Organics was created by a local who had a push for the island’s progress when it came to having more attainable eco-friendly beauty products. 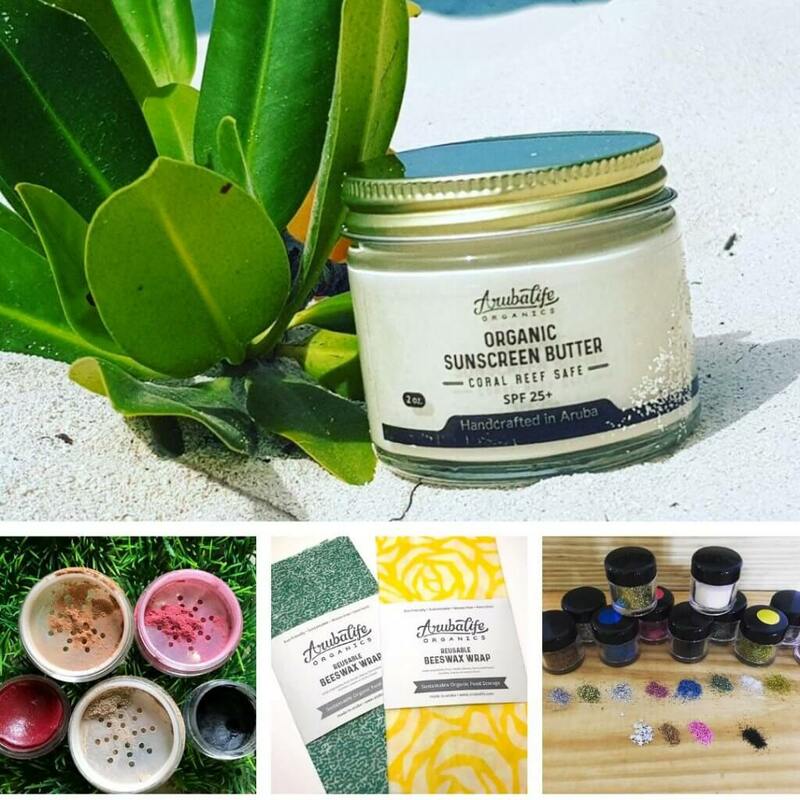 They started off with the production of all-natural, organic makeup, and have since grown to be the provider of coral reef-safe sunscreen butter, and even biodegradable body glitter, that are all locally produced in Aruba! Arubalife Organics has even produced their own ‘Reusable Beeswax Wrap’ as an environmentally friendly alternative for food storage. 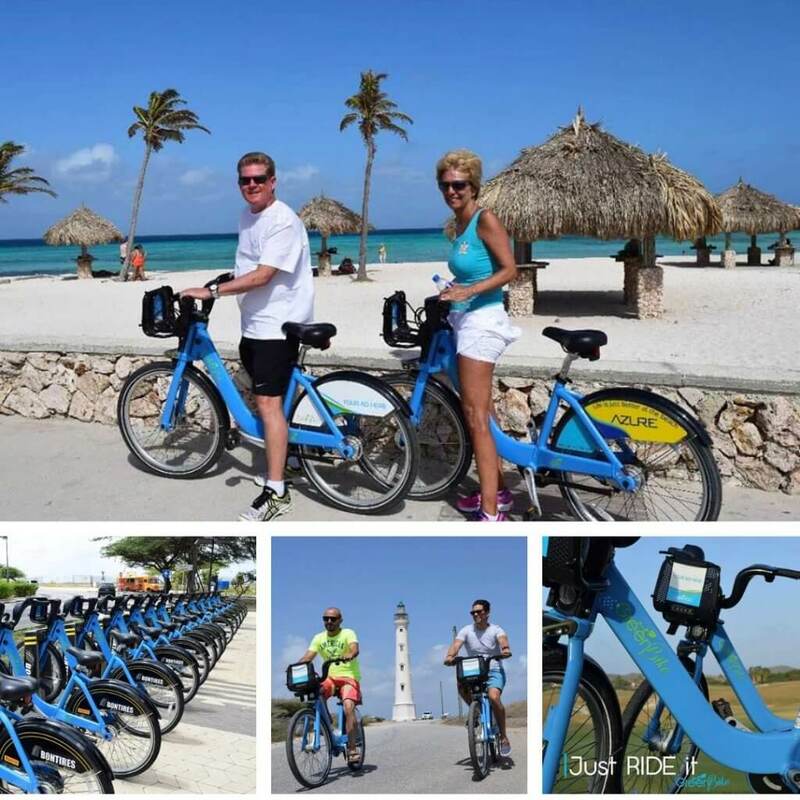 Sustainability Shout-out: As stated on Green Bike Aruba’s website, they offer Aruba “an innovative green bicycle project to implement a more livable, more efficient and less polluting transportation system for tourists and locals.” How does their bicycle project work? Well, for starters they have 8 different bike stations located at numerous spots along the island’s coast from Surfside Beach all the way to the Marriott Hotel. Once a station is found, anyone can basically rent a bike from one station and then drop it back off at any of the other stations. 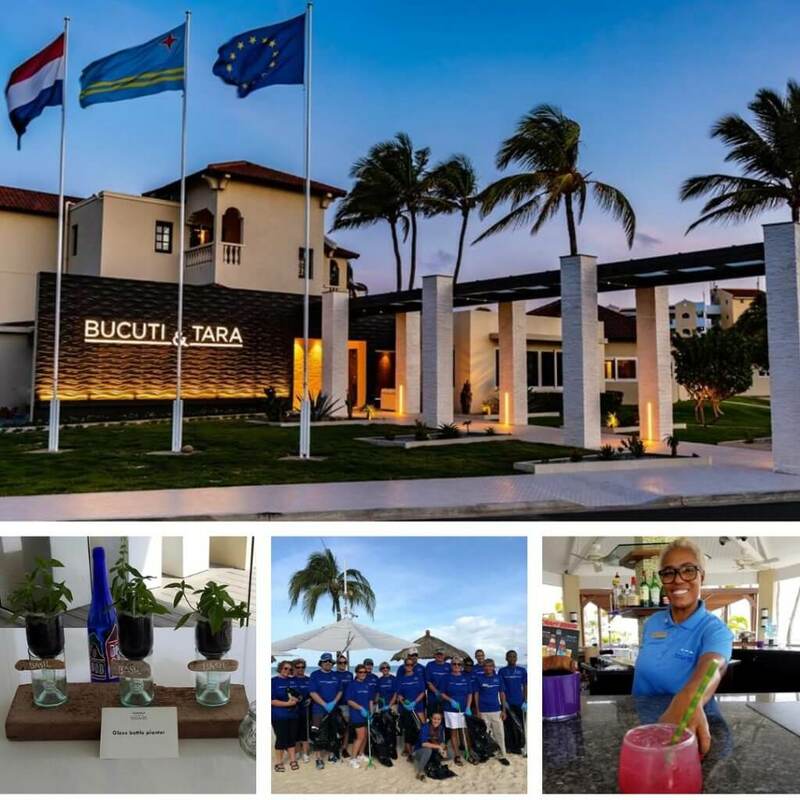 Sustainability Shout-out: Ah, Bucuti & Tara Beach Resort Aruba, the island’s very own pride and joy when it comes to environmentally friendly and sustainable businesses. This resort has been winning awards and gaining much international recognition for all of it’s green initiatives for years now. Their most recent award? How about being the “Winner of [the] first-ever Tourism for Tomorrow Climate Action Award” (read the article here). Some of their green initiatives include, but are not limited to: hosting monthly beach clean ups, providing biodegradable serving products (EX: that straw you’ll be sipping your Aruba Ariba on will be eco-friendly), hosting recycling art projects, and having hot water in guest rooms that are powered by solar panels. 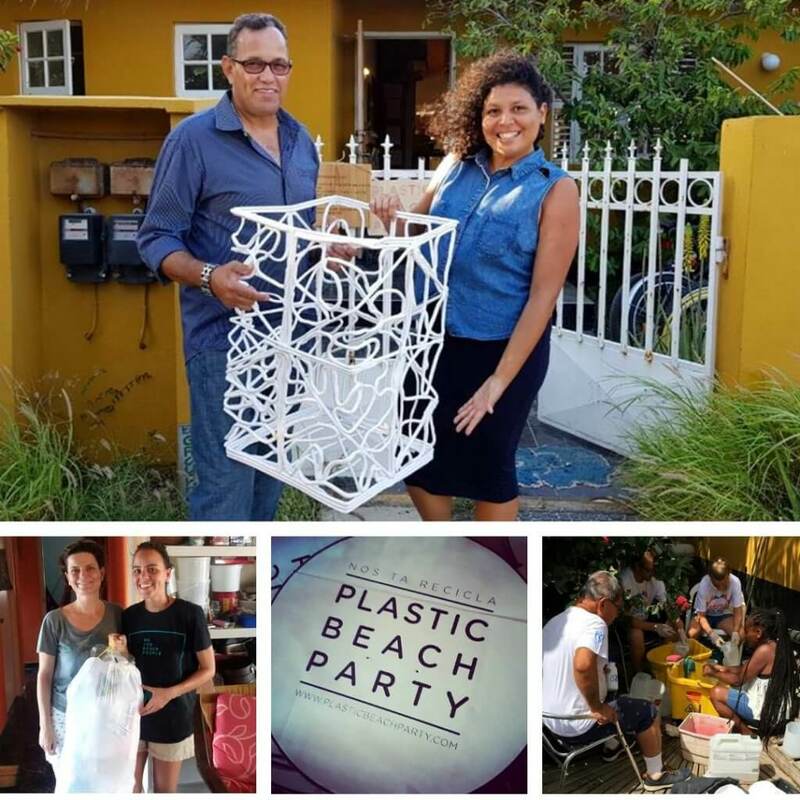 Sustainability Shout-out: Plastic Beach Party is a concept nurtured by local, Christie Mettes, along with a team of eco-friendly warriors. It is a community-driven recycling initiative introduced on the island to promote the reduction of waste and the up-cycling of recycled plastics. They offer many different services for recycling plastic waste. They even have a ‘free option’ for those who are willing to be more hands-on with the process. Furthermore, Plastic Beach Party often collaborates with different establishments, such as the University of Aruba where they helped facilitate trash bins made out of recycled materials for the school, and coordinate diverse projects, such as their annual ‘camping recycling service campaign’ where they setup various designated recycling bins on beaches during camping season in Aruba. Sustainability Shout-out: Santa Rosa is Aruba’s official Department of Agriculture, Farming and Fishing. 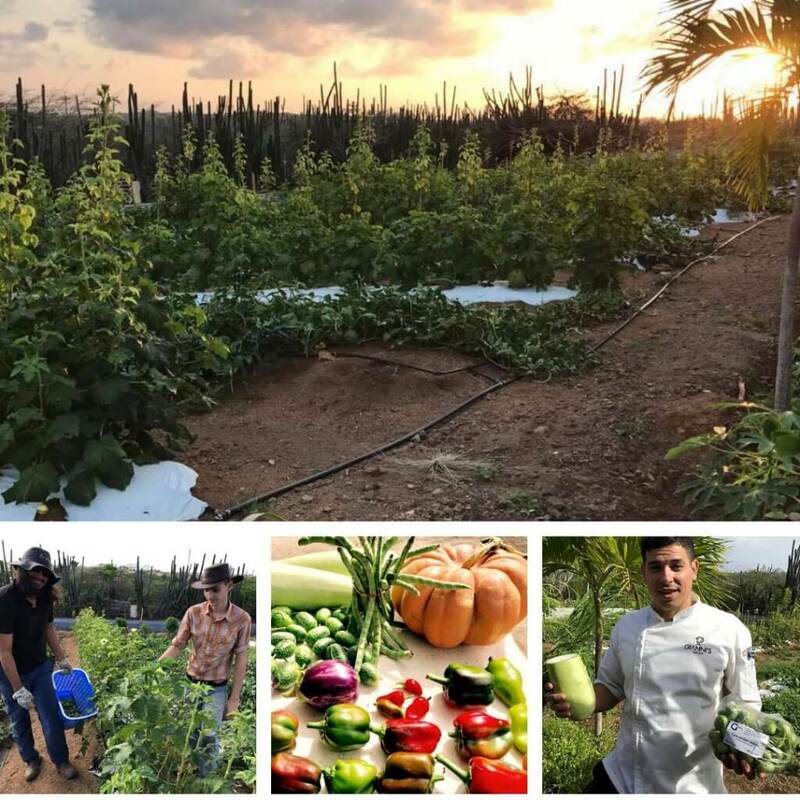 Safe to say Santa Rosa is ALL about promoting local produce and supporting the agriculture industry in Aruba. In March 2019 they announced their educational project titled “Hofi di Amistad” (translated from Papiamento as “Garden of Friendship”). This project stimulates gardening skills and an appreciation for fauna for kids by helping the young school-goers harvest their own produce. 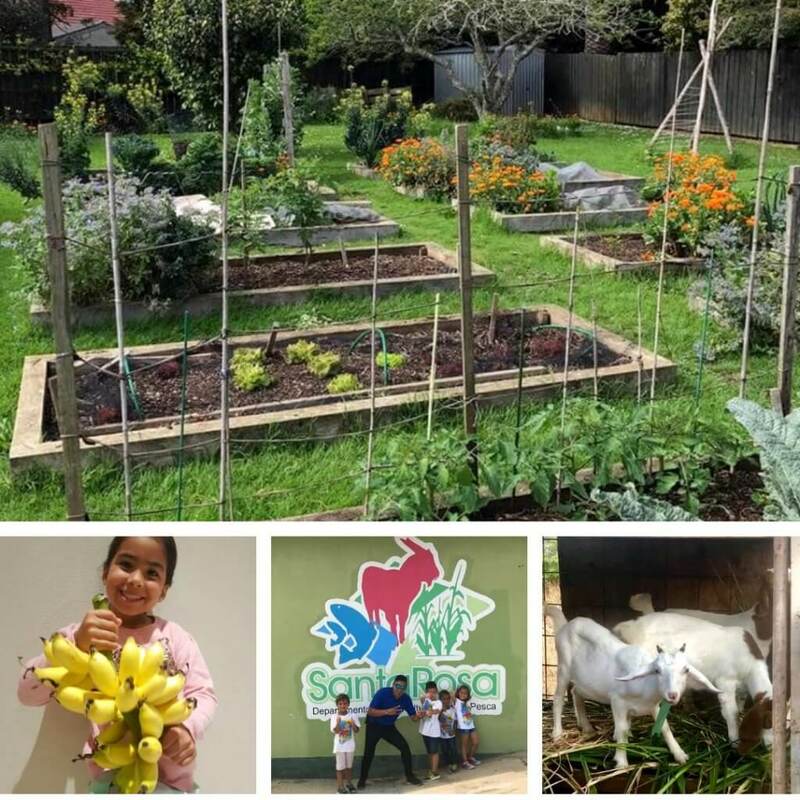 Santa Rosa Aruba also shares many tips with their online followers on how to live a more eco-friendly life via their agriculture advice, such as their insights on hosting ‘raised beds’ for small space gardens. Sustainability Shout-out: Goshen Sustainable Development is a project orchestrated with the primary goals to A) promote accessible local produce for the Aruban community and B) doing this by providing a vocational rehabilitation program for individuals who are combating drug and/or alcohol addiction on the island. What started out as a small project, just like their first seed that they planted, has grown to be quite a garden of success. Now, Goshen Sustainable Development collaborates with many local restaurants to provide them with locally grown produce, harvested by the hands of individuals who’ve also grown to find new hope in the world of gardening. 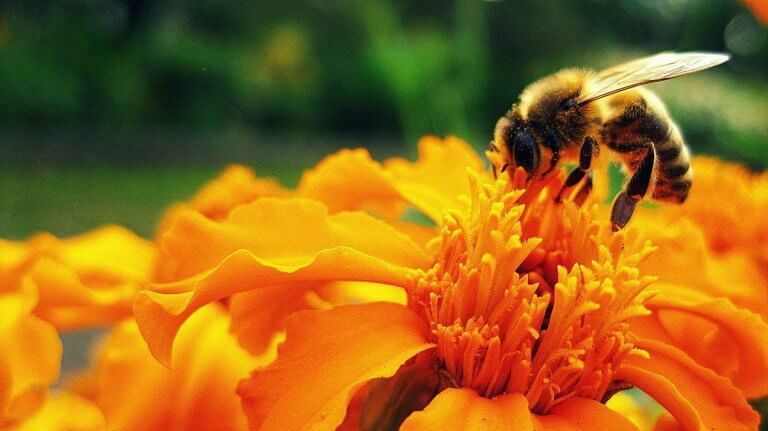 Sustainability Shout-out: Lui Bee Farm is a family-operated business led by their local ‘Bee Specialist’, Luis Winterdaal. They are all about bringing awareness to the preservation of the bee species as well as harvesting honey from local hives. To top it off they are more than happy to assist with safe beehive removal from locations, as seen on their Facebook posts, to help protect Aruba’s bees. 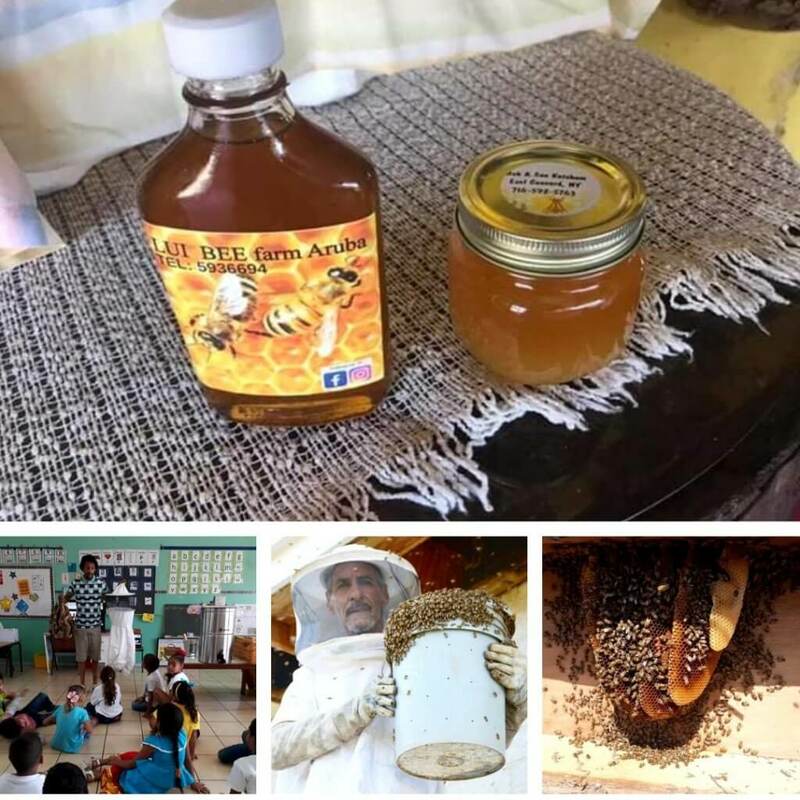 Lui Bee Farm also provides presentations for schools to educate students on the importance of the bee species, and to teach them about all of the work that is involved while working at a bee farm. Feeling inspired to get in on the eco-friendly action for your business? You can start off by hosting a ‘green team brainstorming session’ to get everyone involved! The more brains the merrier, right? Remember: every positive action counts! Like our Facebook page and give us a follow on Instagram to stay up to date with the latest website knowledge, digital marketing reads, and business tips from our team!